Within our Business Strategy Services, we use Google Ventures Design Sprints to optimise decision-making processes for businesses, start-ups, products, services and communications. 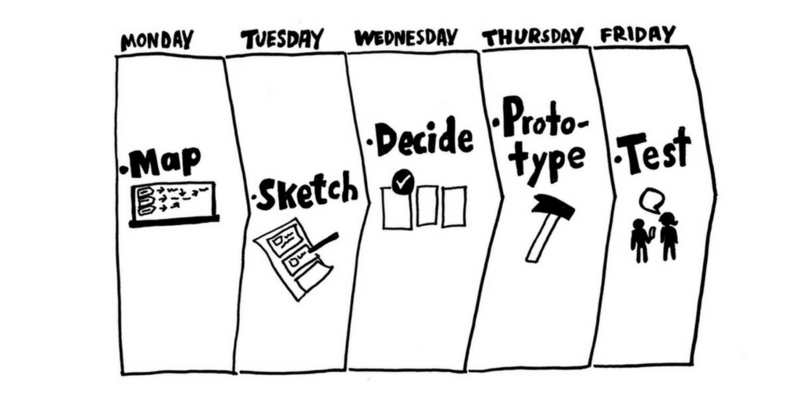 What are Google Ventures Design Sprints? Conducted over a course of five days, GV Design Sprints are undertaken to compress months of work into one week by shortcutting the usual debate cycle of a project. The process involves hashing out designs, testing prototypes and presenting ideas to consumers to answer critical business questions. Day One: The problem is defined and mapped out to determine exactly what you need to achieve. Day Two: Each potential solution is explored despite how practical or feasible it may be. Day Three: Storyboards are created and you will hypothesise their results. Day Four: A high-fidelity prototype is tested. Day Five: You’ll test it out with real people from your target audience. At AndMine, we follow the GV Design Sprint methodology closely, however we also draw from other tried and tested methods when we facilitate design sprint sessions. Our design sprint sessions combine learnings from our history of strategy, planning, VC (venture capital) decks and presentations, commercialised software engineering and design projects, and they are always underpinned by our philosophy to maximise both online and offline strategies. We work with our clients to set clear paths for future-proofing, adaptability, measurement and attribution, but foremost for real-world results. You can find more information on our Google Design Sprints in Melbourne & Sydney here. The increased sophistication of technology, communication and marketing leads to bigger questions and opportunities in the global market as well as within your organisation. A Google Ventures Design Sprint can leverage the best of innovation, behavioural science, design methods and technology for continued optimised outcomes. For more information on how AndMine can help you achieve results with Google Ventures Design Sprints, get in touch with us. While Google Ventures Design Sprints forms one aspect of your digital ecosystem nothing online sits in a silo. &Mine's in-house team now delivers 159 services; Avoid costly mistakes and #WIN online. Read our expert articles, or lets talk - and you’ll get honest and direct answers right away.